Ben Affleck is at a peculiar stage in his career right now. The last film he directed and starred in prior to this was Argo, a critically acclaimed and Academy Award winning feature. The next film he'll be directing and starring in after this is The Batman, the follow up to the critically panned Batman v Superman. He's in a strange place at present, and in between these two offerings - which, needless to say, could not be any more different - he has served up Live By Night. Live By Night is a tricky little film for a number of reasons, but none more so than for how uneven it is. Affleck is a good director and even better actor, and the cast he has rounded up for this feature is terrific. We've got Elle Fanning, Sienna Miller, Zoe Saldana, Brendan Gleeson - it's an impressive ensemble. With Affleck behind the camera (as well as in front of it) you'd be permitted to have pretty high hopes for his film. That turns out, however, to be a pretty bad call. Affleck's film focuses on Joe Coughlin (played by Affleck), and follows his navigation of the US gangster scene during the 1920s prohibition. He doesn't see himself as a fully pledged gangster, and has no desire to be, but soon falls in love with a woman called Emma (Sienna Miller), the girlfriend of Irish Gang leader Albert White (Robert Glenister). When their relationship reaches a dangerous point, Joe and Emma decide to flee the city, but more complications arise that puts Joe on an uneasy path downwards, further into the mafia scene than he would ever have liked. The fundamental issue already is that Live By Night as a film has no interest in trying to be any more than a bog standard mob drama. This wouldn't necessarily be an issue, but Affleck's film is filled to the brim with rote characters and sketchy dialogue and sloppy narrative pacing. The film takes so long to move into its main story that by the time we get there, you almost feel like you should be preparing for the homestretch already. Affleck's script is also disappointingly uneven - he never gives his characters any depth and instead pushes them through stereotypes and scenes we've sat through countless times before. You desperately long for Live By Night to try something different, but it never does. There's also the performances. With an ensemble cast like this, you'd expect the performances to be the film's highlight. Instead, they're just sort of fine, I guess? No one here turns in a bad performance, but everyone gives the impression they're only in it for the paycheck. There's no spark behind anyone's eyes, no fun little twists on characters we've seen before. Elle Fanning is the only one here to go above and beyond what's expected of her, she portrays a sense of power and passion in her recovery speeches but is almost overcome with fragility and anxiousness when she meets with Joe in a cafe in one of the film's few moving scenes. Aside from Fanning, it's tough not to feel underwhelmed by a cast that should excel but instead settle on sheer decency. Live By Night isn't all bad, though, The action scenes are crisp and cleanly cut, and make brilliant use of the unreliability of 1920s technology. The film succeeds in finding something genuinely emotional in its very final moments, too - it's not enough to bring a tear to your eye, but it kind of makes the whole thing worth it. Affleck also demonstrates again that he has a keen eye for cinematography: the film's scenery is stunning; an early poker game heist is all shot in a single take, with the camera swirling around the poker table and not cutting until the heist is over; and there's even a brilliant little moment that displays two random cars driving towards each other on a bridge, and the camera cuts to a birds eye view the second the two cars cross each other. It's hardly a spectacular technical achievement, but there are enough little directorial touches here and there to hold your interest. A lot of Live By Night's issues, though, can all be boiled down to one keyword: personality. The film just doesn't have any. Everything is by the books, almost every performance is uninspired, nearly every character is missing something unique. Affleck has set out to make a straight up gangster film, and he's achieved that for sure, but anyone hoping for a film that will follow the same successful future as Argo is likely to be disappointed. 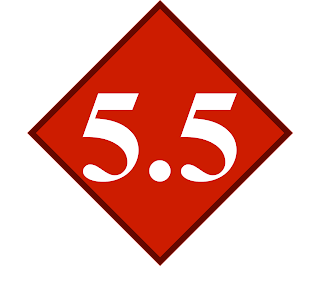 The film feels rushed and skimmed over, it's almost akin to the first draft of a script. It gets the job done and it's easy to follow, but there's a hell of a lot that needs working on. 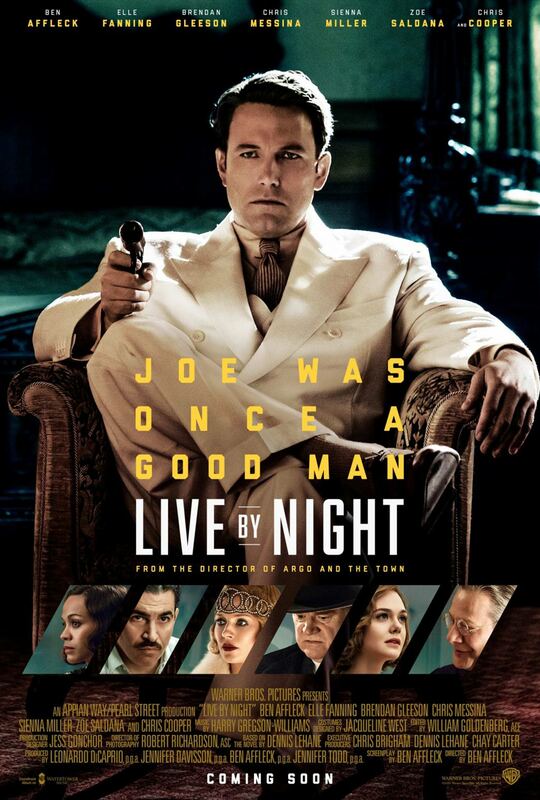 You'd struggle to justify calling Live By Night an actively bad film, but the chances are you won't want to call it a good one either. 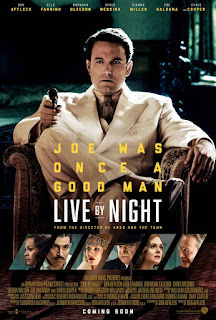 Occasionally exciting but mostly derivative, Live By Night finds director and star Ben Affleck in a confused but admittedly stylish place.